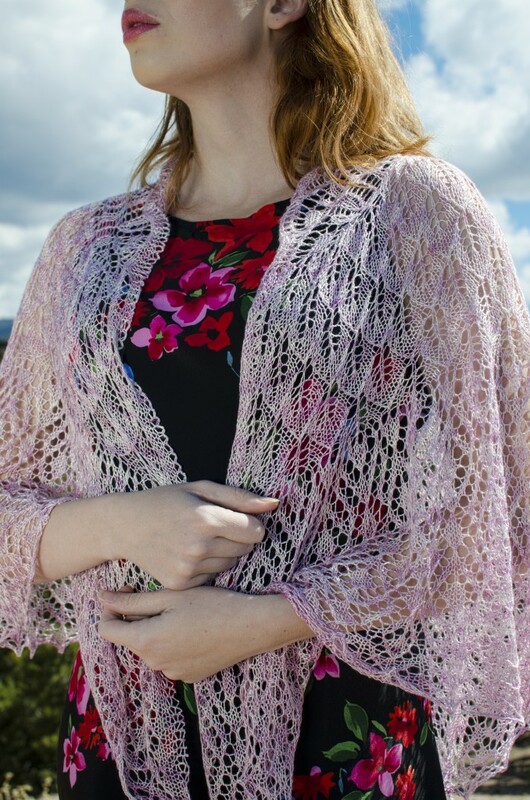 Addiena is a half-circle shawl based on Elizabeth Zimmermann’s pi shawl formula. It is knit from the top down with increases occurring only on designated increase rows throughout. The pattern includes both written and charted instructions.